will take over our roles some day as dog handlers,trainers, educators and breeders. Whether you currently participate in Obedience, Agility, Conformation, Rally, Earth Dog events, or as a spectator, Juniors are the future. If we agree this is true, how do we prepare our Juniors for this future responsibility? What are we doing today to prepare the next generation for this breed? How do we teach them properly not only to continue our efforts in the breed, but to exceed our efforts? 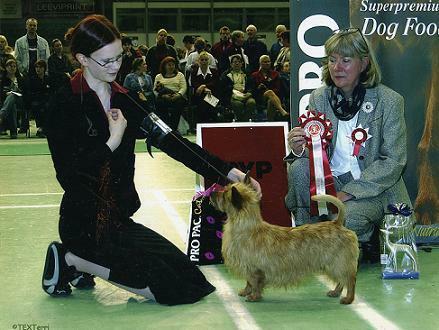 What are we doing to ensure the Australian Terrier breed will thrive for many years to come? These are questions I ask myself and discuss with my own two daughters who are actively showing, training and assisting me with our Australian Terrier breeding program. 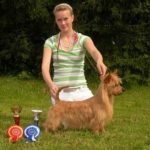 What are other countries doing for their Junior Showman who participate in showing and competing with Australian Terriers? Perhaps we can learn from each other. Are you a former Junior Handler? Do you have advice for our Junior Handlers of today? I’d love to hear from you and learn from your experiences. 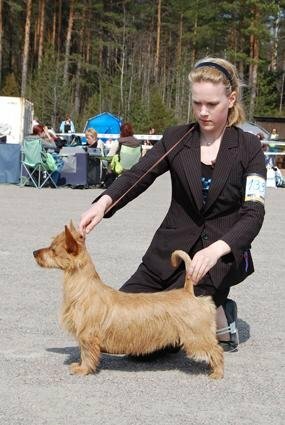 Please tell me if you are or have ever been a junior handler in your country. What was your experience like? Let’s help our juniors, by providing them with resources and helpful guidance, they are our future. 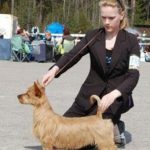 Regardless of what performance sport you are involved in, be it, obedience, rally, agility, conformation, nose work, barn hunt, lure coursing, earth dog events, Good Canine Citizen (CGC), Therapy Dog or as a spectator; Juniors will play and important role in shaping the future of this breed. So how do we prepare our Juniors for this future responsibility? What education should we be giving them? How do we encourage more and greater participation? How do we install good core values to help them do the best for this rare breed of ours? 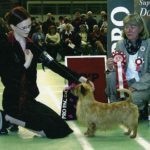 After we are gone, how can we ensure that there will still be Australian Terriers around 100 years from now and that they will be healthy, with good temperaments and following the standards set forth?